What does BAG at the beginning of KLM Royal Dutch Airlines' Customer and Product Record mean? Does it mean something like Beginning of Document? 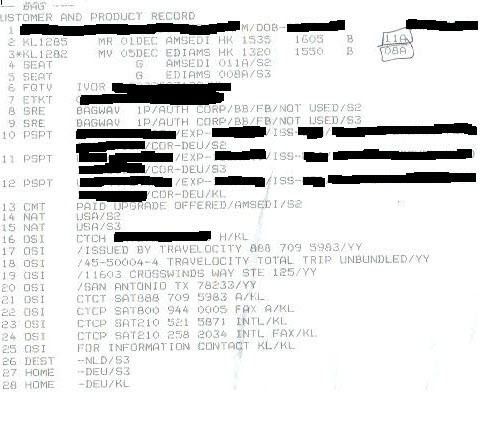 I think that they are using standardized coding for this information; an outsider to the industry may speculate that some of the information in this record may be initially transferred to the airline from the travel agency in this or similar format. Klm provided the answer through their twitter channel: "
'BAG' stands for 'Customer has baggage on his journey' :-) Have a nice weekend! Not the answer you're looking for? Browse other questions tagged airlines terminology klm or ask your own question. Green card lottery - what does it mean? Schengen Visa : What does the information mean? What does Flight Pending Government Approval mean? What does “To book in house” mean? What is the size limit of the accessory bag on KLM flights? What is checking the bag at layovers and how does it affect the traveler? What does “hold bag” mean when traveling with easyJet? What are the pros/cons of airlines selling tickets on a futures market? Will I be issued all my Boarding Passes at the Airport from GOL and KLM?